The boom in the number of office-to-home conversions over recent years has left many companies in the unexpected situation of having to vacate their offices for residential development. Last year, close to 13,000 property units were converted from offices to flats within the UK, with the number set to rise this year. Amongst the companies affected – Oakfield Foods. The nature of the relocation meant that Oakfield found themselves with a time sensitive project on their hands, requiring them to act fast without interrupting their day-to-day operations. 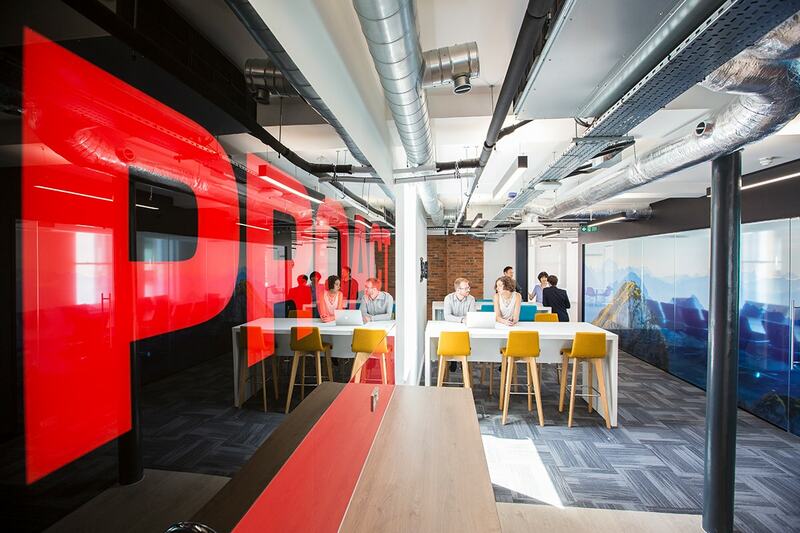 Although challenging, this proved a good opportunity for Oakfield to refresh and futureproof the company with a new, modern and fit-for-purpose workspace. 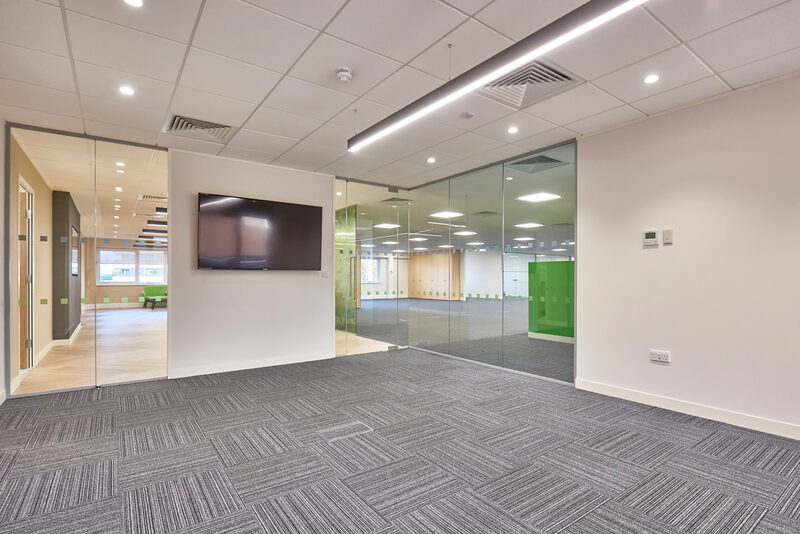 Once Oakfield located their future office space in Borehamwood, the project began with a fundamental series of client briefings attended by senior management from both parties. 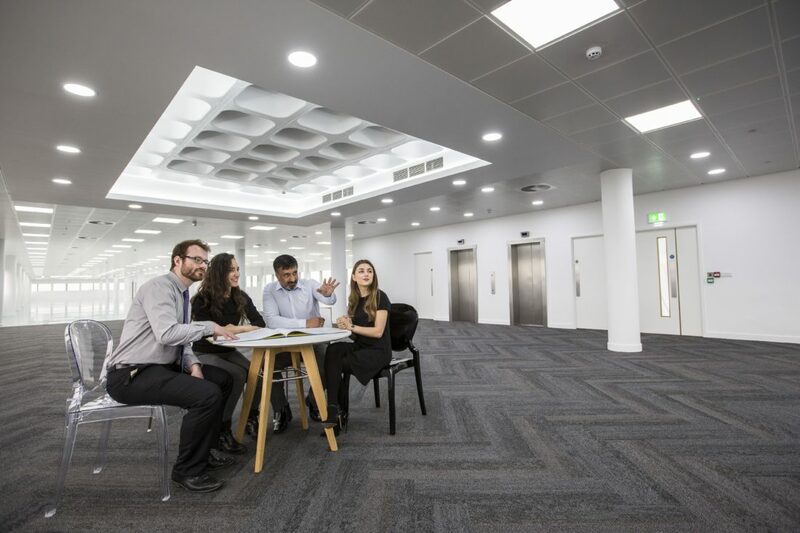 Working closely together from the offset gave Woodhouse the opportunity to truly understand what success meant to Oakfield, allowing this to later be translated into their new workspace, creating an environment in tune with their culture. Following the design concept stage, Woodhouse were soon able to create a design proposal achieving the initial objectives outlined by Oakfield. With the final designs proposed, the project progressed onto a dedicated team of contractors who arrived on site to make the drawn plans a reality. 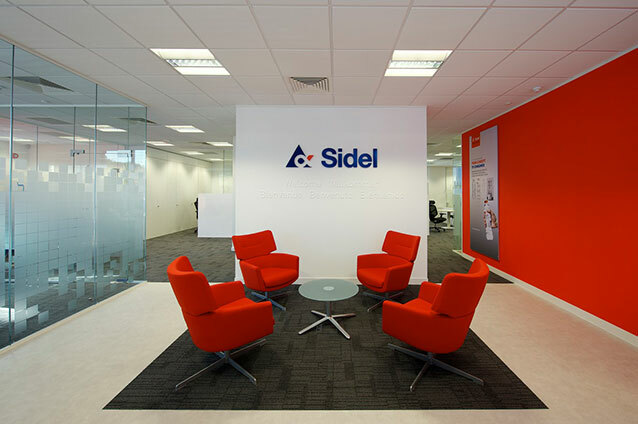 The finishing result was a professional yet simplistic workspace, creating a bright and spacious environment for employees. 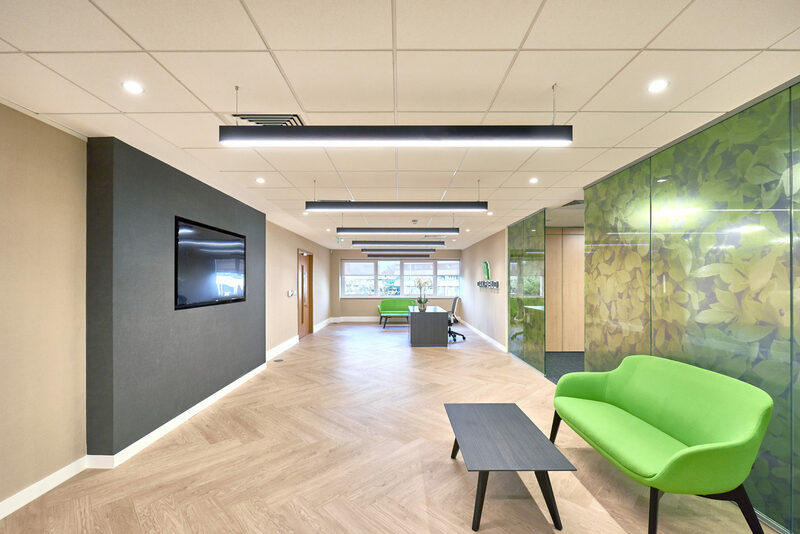 Combining and balancing the expertise of Woodhouse with the original Oakfield brief, the new office boasted a reception, both striking and welcoming, which effectively portrayed the Oakfield brand by use of a subtle green colour scheme. The logo was placed prominently above the reception desk. 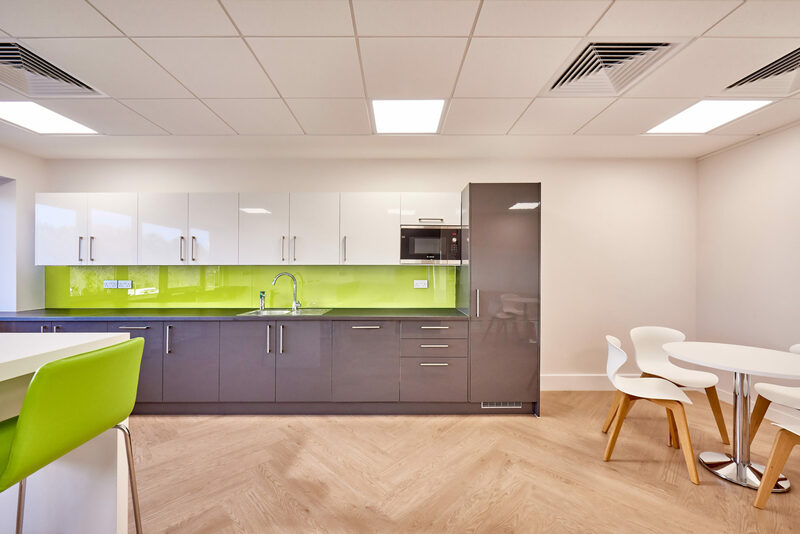 The employee kitchen area followed a similar theme, ensuring that corporate branding was maintained throughout the new space. 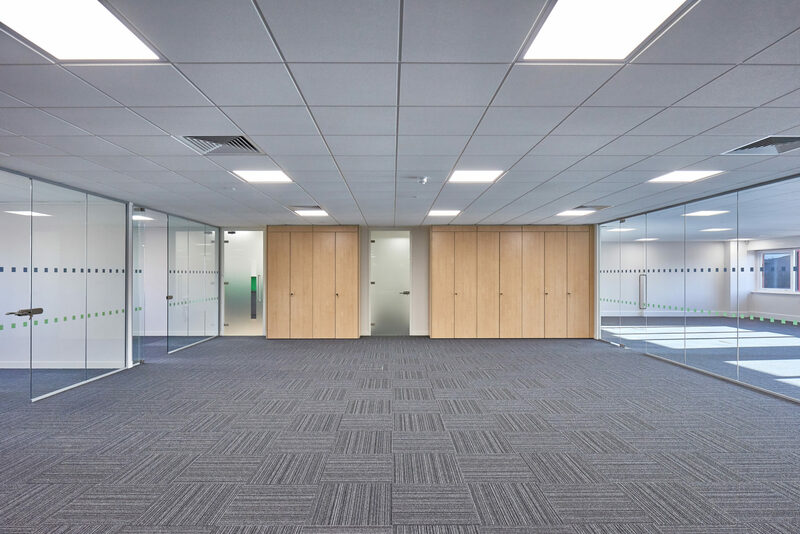 The main office adopted an open plan design, with glass partitioning separating the single office and meeting rooms, allowing light to travel effectively into the entire space. The open plan area was also made to good use with a series of built-in cupboards for employees storage needs. 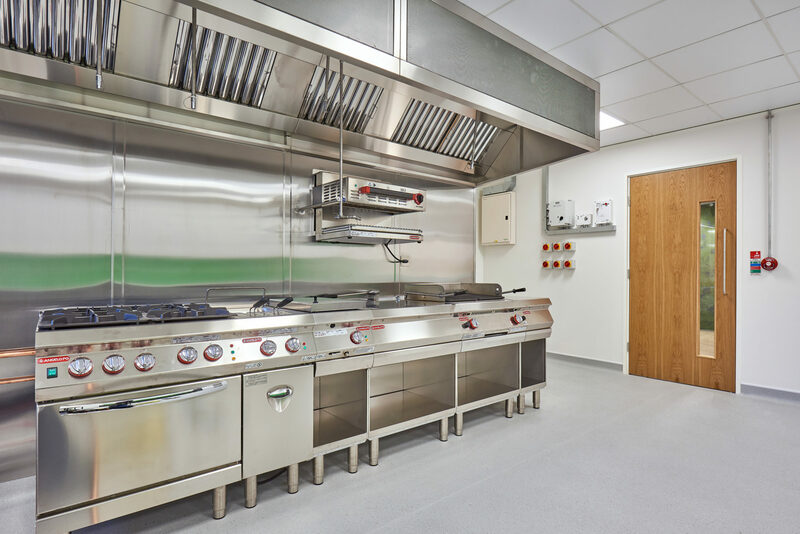 A key part of the new space was the commercial kitchen, fitted with state of the art appliances similar to those at their production site, primarily used to create sample foods for clients during visits.